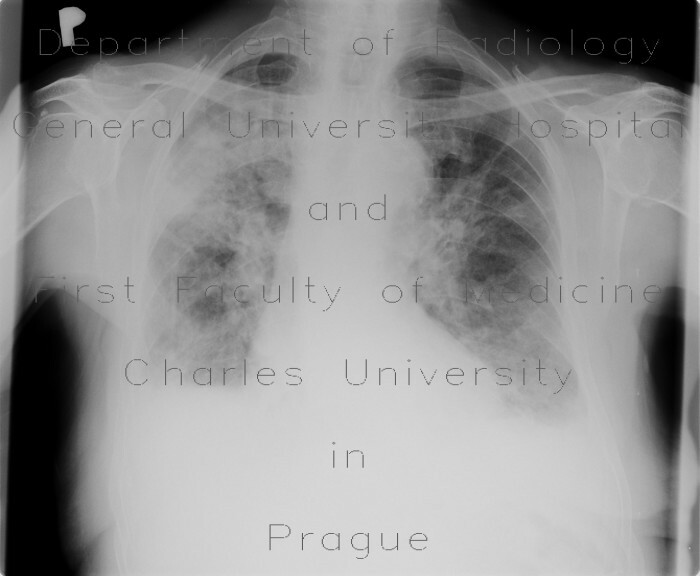 Chronic fibrous changes, traction bronchiectasias, pachypleuritis in the right upper lobe. Similar, but much less pronounced, changes in the left upper lobe. Bilateral pleural effusion, loculated on the left.